The digital age has heralded a period where everyone is shooting more and more images and looking for the highest quality output that their cameras are capable of. This has led to a confusion of methods of converting RAW camera files and cataloging of images has become a necessary chore to enable you to make sense of the clutter of images on your storage media. 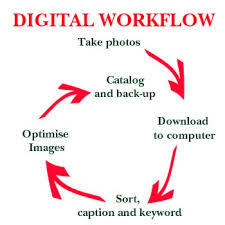 This Digital Workflow workshop will show you the most efficient way of handling your growing catalog of images. Process RAW files using Photoshop, and Adobe Lightroom . All the above programs are available for both Windows and Macintosh based users. I will also demonstrate the actual workflow that all my own images go through. Price now only $175 with a maximum of 6 participants. These workshops all take place in Ajijic, Jalisco, Mexico. Workshops commence at 9.00am and run to approximately 5.00pm. Please call 250 739 3377 or email peter@peterllewellyn.com if you require any further details. To book a place click on the link below. This workshop is primarily aimed at those using DSLR or advanced point and shoot cameras. January 2017 – actual date to be announced soon.